Dr. Abdullah bin Omar Bafeel, President of Umm Al-Qura University (UQU), has honored honored the Deanship of Information Technology for its active participation in the " Freshers Forum for AY 1439-1440 AH" under the title "Future Gate", which lasted for 3 days. The male and female students were received by the team of the IT Deanship led by Dr. Fahd bin Mohammed Al-Dosari, dean of Information Technology; Dr. Majed bin Mahmoud Farash, vice-dean of the IT Deanship; Dr. Saud bin Saleh Al Otaibi, vice-dean of the Deanship for Technical Affairs; Dr. Atef bin Mansour Al-Hajili, vice-dean of the Deanship for e-Transactions; Dr. Mishael bint Masoud Al-Subhi, vice-dean of the Deanship for Girls Section; and selected members of the Deanship. 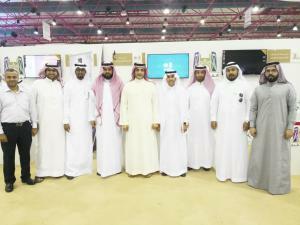 The deanship presented a detailed introductory explanation of the services it presents. Moreover, it distributed leaflets containing explanations for these services in order to make it easy to the student to identify the service, how to receive it and benefit from it; in addition to displaying videos on the services provided in details. 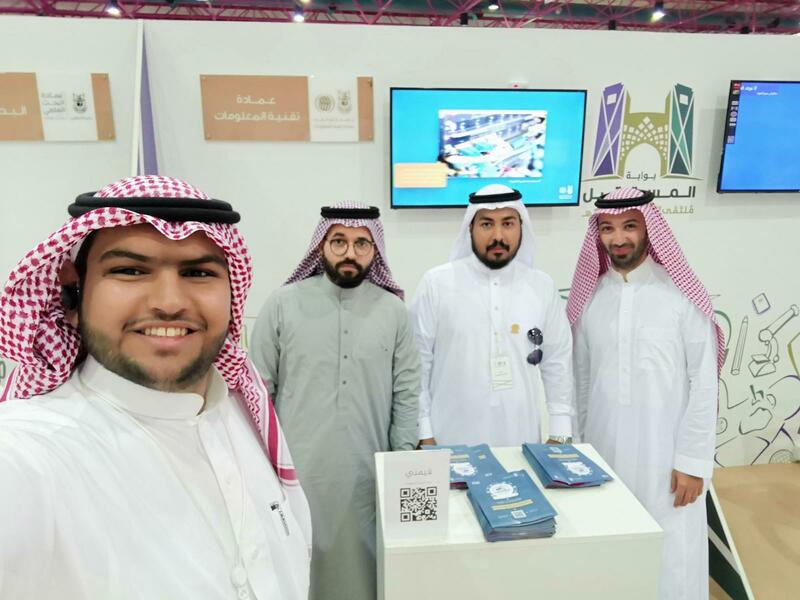 Noteworthy, the deanship booth was the most visited one during the forum days, whereas the number of visitors exceeded (3200) students. Moreover, the deanship held an introductory meeting for the students. 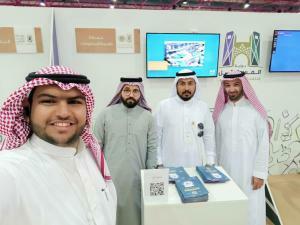 It included explaining the academic portal of the student, how to access the schedule as well as the university email, the free programs offered by the deanship and the University's application, in addition to the distribution of publications during these meetings. It also provided the integrated technical support for the forum throughout its duration, such as installation and maintenance of electronic devices and their accessories, along with their maintenance. The Deanship of Information Technology wishes the new students success and luck, and it is honored to serve them during their academic path at the University.